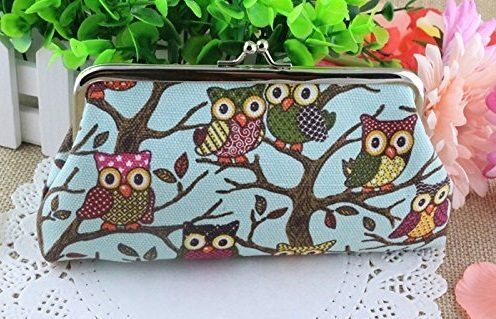 CUTE Owl Canvas Clutch ONLY $3.10 SHIPPED! You are here: Home / Great Deals / Amazon Deals / CUTE Owl Canvas Clutch ONLY $3.10 SHIPPED! How cute is this clutch?! Right now, you can get this super cute Owl Canvas Clutch for $3.10 SHIPPED! I’m grabbing one of these for me and one for my daughter. She will love it! This would make a great gift for someone, too!